When picking a wedding reception venue in Peterborough, the possibilities are endless. Beyond all the amazing banquet halls, country clubs, and reception halls, there are other sites in Peterborough that you may not have even considered. Start searching below for wedding locations in Peterborough. Kedron Dells Golf Club is the perfect location for your special day. We offer all inclusive packages with onsite indoor or outdoor ceremonies surrounded by lovely flower gardens. At Black Diamond Golf Club we offer the finest planning, preparation and service to ensure you have the wedding of your dreams. Our elegant outdoor gazebo overlooks the front 9 of the golf course. This is the perfect location for your wedding ceremony. 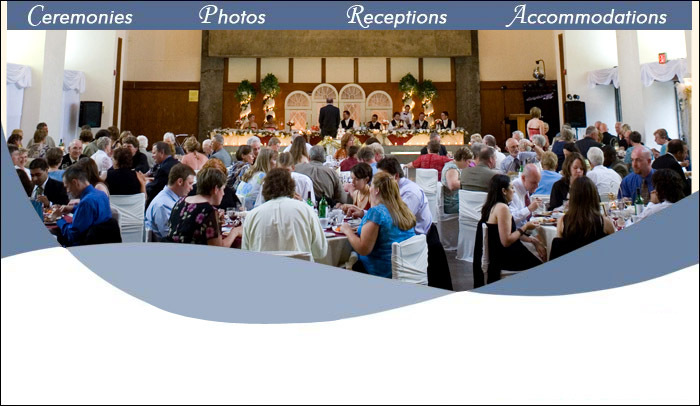 Host your reception in our large and bright banquet room with an attached stone patio.